Wedding planning can be an expensive and daunting task, from organizing the venue, to making sure your guests have everything they need, we know you’ve got your hands full! Your wedding should be a time to rejoice in the love you have found in each other, and whilst planning your perfect special day is important, we at MWR like to do everything we can to make your ring selection as stress free and uncomplicated as possible! 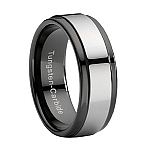 That’s why every week, we choose a selection of our most popular wedding ring styles for our mens rings for sale section! Our rings for sale section is constantly changing, and with such an opportunity to save on your wedding day, it would be a shame to miss out. 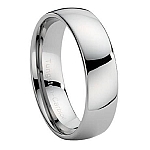 We aim to provide a varied selection of wedding bands on sale for everyone. 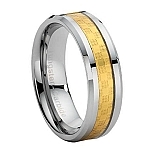 Our wedding bands for sale are discounted rings from our standard inventory, so you know you're getting style, quality and great customer service, all for a special discounted price. Due to popularity, these rings are offered on a first come first served basis and we have a limited number of sizes available. Of course, we like to keep things fair, so our exchange and return policy is the same as it is with any other ring in our collection. 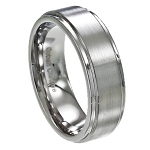 With so many styles and designs changing every week, there are bound to be some mens rings for sale that are the perfect fit for you or your loved one.